Hailing from Port Lincoln, South Australia, Manaz Ill is both an accomplished recording artist and internationally renowned battle MC. Diagnosed with a degenerative vision impairment at a young age, Manaz quickly turned to music as a form of self expression. Honing his craft and forging a name for himself as one of Australia's most highly regarded battle vets, Manaz cemented his reputation by taking out first place in the $10,000 Word Adelaide ‘Language of War’ freestyle competition, before going on to release his debut album 'What It Look Like' as one half of duo MDMA. Aside from competing on an international level and amassing over a million YouTube views, the now Adelaide based rapper has performed extensively, headlining a nationwide tour as well as supporting local and international heavyweights including the likes of Hopsin, Merkules and Kerser. 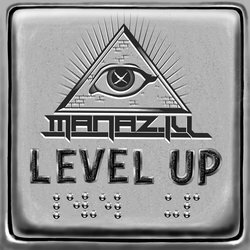 Following the success of his recent single “Animal Farm” , Manaz is preparing to unleash his upcoming album ‘Braille, scheduled for release March 2019. Drawing on formative life experiences and exemplifying his trademark wit, ‘Braille’ blends years of experience as a lyricist with a diverse range of new wave production, resulting in a body of work that is refined as it is raw. The Adelaide Hip-Hop mainstay sets the stage for the release of his long awaited album ‘Braille’ with the Hamley produced lead single “Level Up”. Featuring an infectious hook over ominous production, the energetic lead single sees Manaz flexing his signature brand of lyricism, openly challenging his contemporaries to step their game up.